This book reveals what people have wanted to know about the human condition from the very beginning of time: What are feelings for? Within its pages, you will discover the secret language of feelings. That language is a voice within us. Sometimes it is as soft as a whisper; sometimes it is as loud as a roar. It is an important voice, which, when fully understood, gives you a kind of guidance that no other voice can. The information in The Secret Language of Feelings was revealed during thousands of hours of working with hypnotherapy clients at the Banyan Hypnosis Center for Training & Services. It came from clients who spoke to us both in the normal waking state and in the state of hypnosis. You do not need to undergo hypnotherapy in order to benefit from this book; however, it would make a perfect companion book for anyone involved in any therapy process or working on self-improvement. The Secret Language of Feelings gives you a rational and reliable approach to understanding and responding to your feelings and emotions. It shows you how to create a more satisfying life right now! You will learn how to overcome anger, guilt, frustration, sadness, loneliness and even "everyday" depression. You will better understand yourself, your family and the people you interact with on a daily basis. 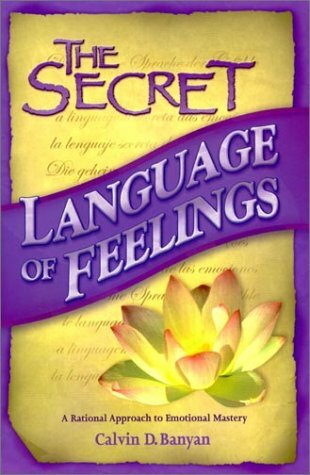 In short, The Secret Language of Feelings offers the key to emotional rescue and beyond to happiness and success in life. If you have any questions about this product by Banyan Hypnosis Centre, contact us by completing and submitting the form below. If you are looking for a specif part number, please include it with your message.